I am NOT into online games. I don't really spend my time playing games whether it's on my Macbook, or on my iPhone. So I am really the last person to talk about games! But I thought I would just like to share with you some of the games that I sometimes play on my iPhone whenever I am in the mood for it. Those of you who are into games may laugh at my choice of games but it's OK. That's not gonna stop me from blogging about it. Haha! 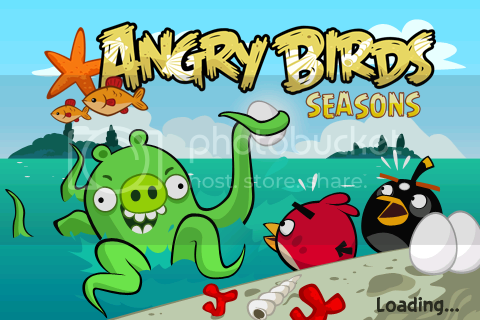 Now if you are a long time reader of this blog, you might know that I love Angry Birds. Read about it HERE. Yes, I still play this game occasionally, but not as much as last time. In fact, I did not play Angry Birds Seasons for so long that when I checked it last night, I was surprised by the picture of the green pig turning into a green octopus! LOL! That just shows how outdated I am! 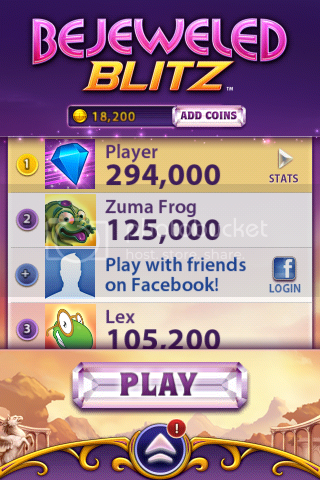 Recently I started playing this game called Bejeweled Blitz. While many have been playing this game for ages, I had only just started. Total newbie. Haha! Now I am not sure if getting over 200,000 points is considered good, but I thought it's pretty good for a newbie like me. I was so excited to see my ranking at No. 1! LOL! Unfortunately, for the last two days I have been trying hard to break this 294,000 barrier but failed to do so. Looks like I still need more practice. And I need to learn some strategy. I know, some of you who have achieved over 500,000 points must be thinking I'm such a loser. But I don't care - as I have said earlier, I am not into games. In fact, if you play this game too often, I will assume you have no life. Haha! 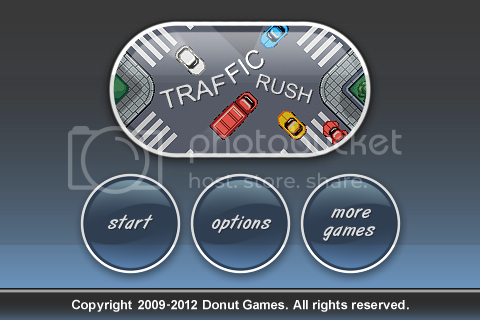 Now one of the earliest games I discovered via my iPhone was Traffic Rush. 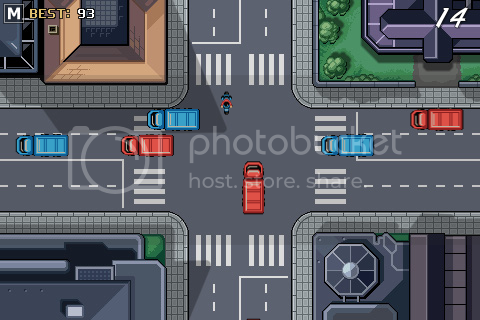 It is basically a game where you swipe or stop cars to avoid them colliding at a junction. There are different cars which go at different speeds, so you need to swipe them to make them go faster or stop them to prevent a crash. If a car is stopped too long, it will start to go on its own again. It gets challenging when there are too many cars heading towards the junction. OK, I was too busy trying to take a screen capture of this game that I could not avoid this crash! GAME OVER!! 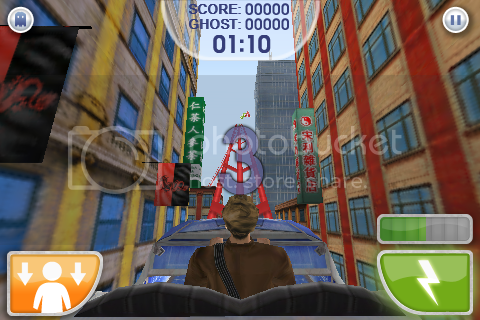 Recently, I discovered they came out with a similar game but instead of cars, they use trains! It's called Rail Rush. The car game is now termed as Classic. 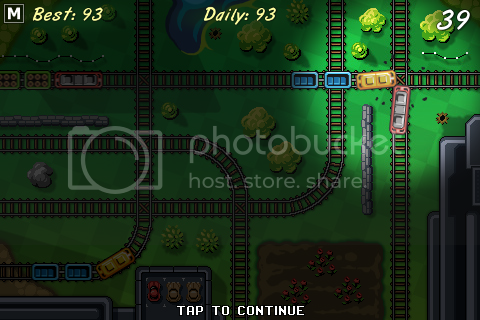 Just like the cars in Classic, you direct the trains in Rail Rush by swiping them to move faster or tapping to stop them in order to avoid a collision. However, they have added some side games to this game. See the 3 cars at the parking lot? You can get points if you match the cars with the same colors. Also, you can tap on those green bushes whenever they move to gain points. Tapping onto moles or holes in the ground will also gain you extra points. Be warned however! These side games pose a real distraction to the main game. 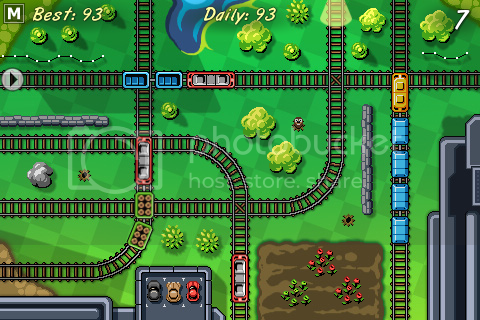 Focusing on the trains is a much safer bet but if you have quick eyes and quick reflexes, the side games will definitely be fun for you! 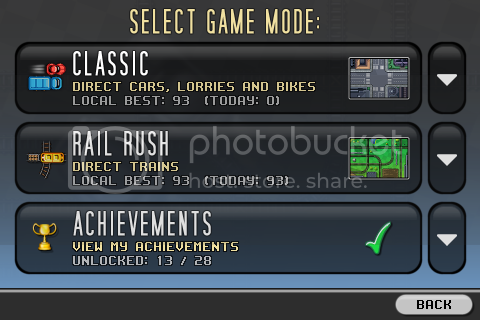 Again, I was busy trying to take a screen capture of Rail Rush so it was an early GAME OVER for me! 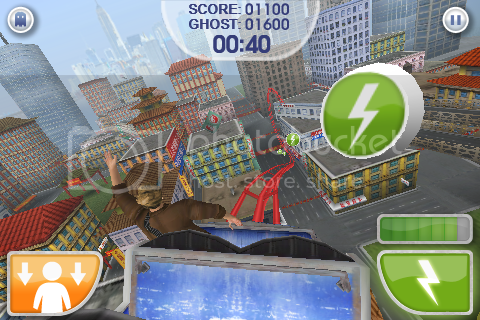 Another game I had some fun with on my iPhone is Rollercoaster Extreme. Have you played this game before? 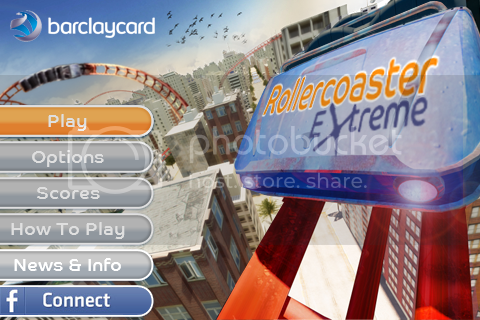 It's definitely an extreme rollercoaster ride where you need to ride as fast as you can (as there's a time limit) and at the same time, try to collect objects on the way to boost your points. That's the easy part. 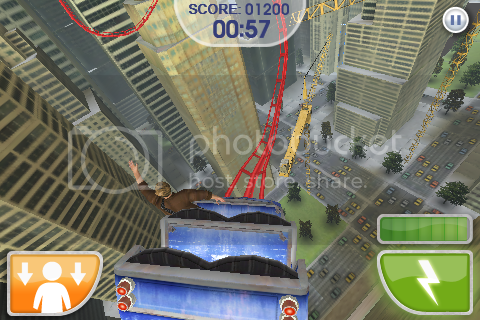 The difficult part is ducking your head to avoid hazards like bridges, wrecking balls and red triangles! 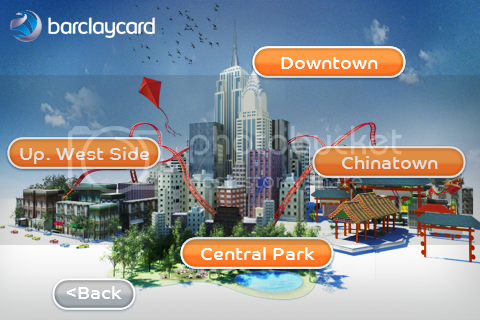 There are four places where you can ride the rollercoaster - Chinatown, Downtown, Up West Side and Central Park. Each one has its own challenges, but I like all the different scenery associated with each of the places! This one is a rollercoaster ride through Chinatown. The orange button on the left is for you to duck your head, and the green button on the right is for you to increase the speed of the rollercoaster. 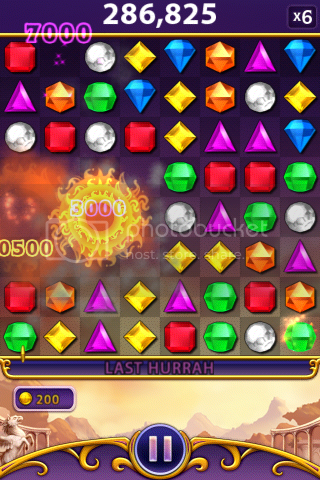 You need to extend your hand to collect the green round objects with lightning signs to boost your points. 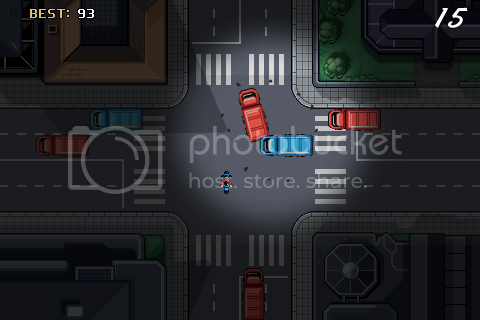 The objects can appear on the right or left, so you will need to tilt your iPhone to play the game. Obviously, while trying to take a screenshot, I tilted the iPhone to the left instead and missed the green object on the right! Below is the rollercoaster ride through Downtown. Nice view! 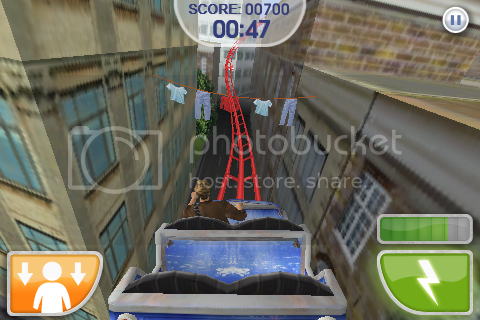 You better duck or else you will crash into those clothes hanging there in this ride through West Side! 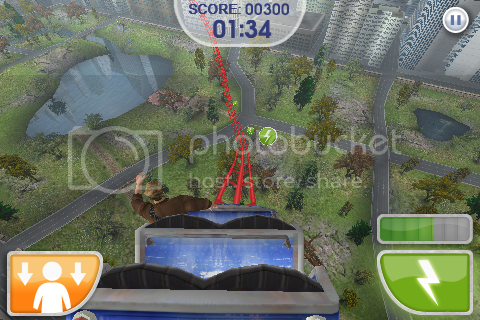 And finally, a ride through Central Park is as thrilling as it gets! For avid game players, you must be thinking I am so outdated. Yes, I have to admit all the games above are not new. But as I've said earlier, I am NOT into games. I just play them occasionally so I don't really go for the latest games. Besides, there's absolutely nothing wrong to blog about old games right? And I'm sure there are still a lot of people playing these games. LOL! Anyway, here's another old game. It's called Tiki Totems. I have only played the Classic Levels so far. 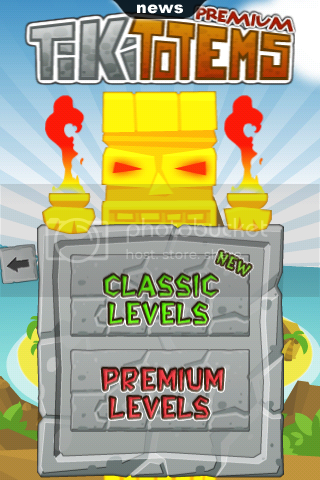 The goal of this game is to appease the Tiki Gods by carefully removing unnecessary blocks that dim the might and glory of their beautiful totems. See the yellow totem on top of the pile of different colored blocks? 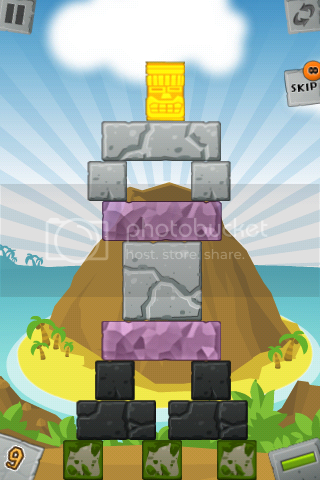 You need to remove those blocks without letting the totem fall to the ground. 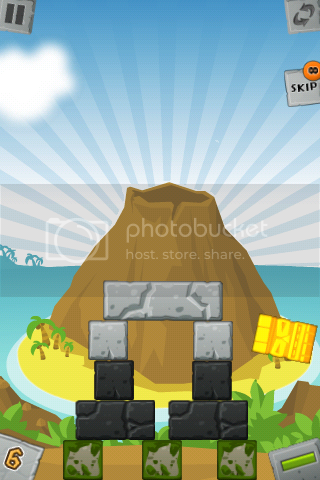 Blocks of different colors have their own characteristics, which makes the game interesting. So what happens if the totem falls to the ground like this? All hell breaks loose, that's what! 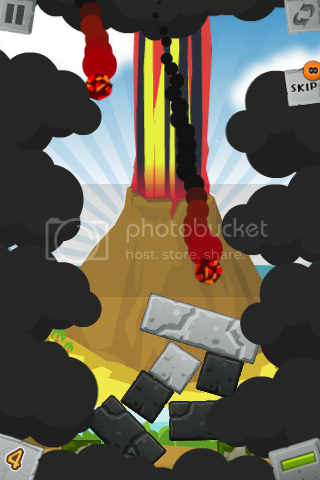 The Tiki Gods get angry and the volcano erupts! Villages are burned and it's GAME OVER!! Now even though I am playing all these games on my iPhone, don't fret if you own an Android phone. I'm sure they are available for Android phones too. Wondering what other games I downloaded on my iPhone? Stay tuned for Part 2 coming right up!